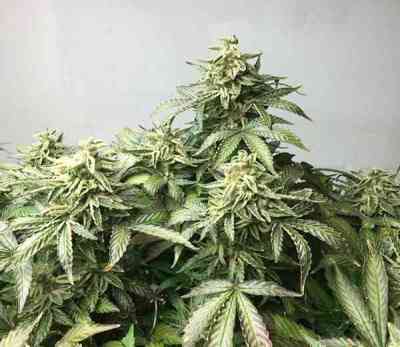 Skunky, Chunky, heavy topped support system for everything, Fragrant buds resin coated heavy; needs a lot of air flow and a good internal site pruning during week 3 of the flower. Dark green leaves turn almost black as this girl ripens. High is beautiful mixture 50/50. Smells like skunk, coffee and touch of fruit or berries. 60 days and done. Push later for heavier high but the air flow is a must.